Busy day in the heat in Dortmund today. Bus parked on Willy-Brandt-Platz (St. Reinoldi-Kirche). 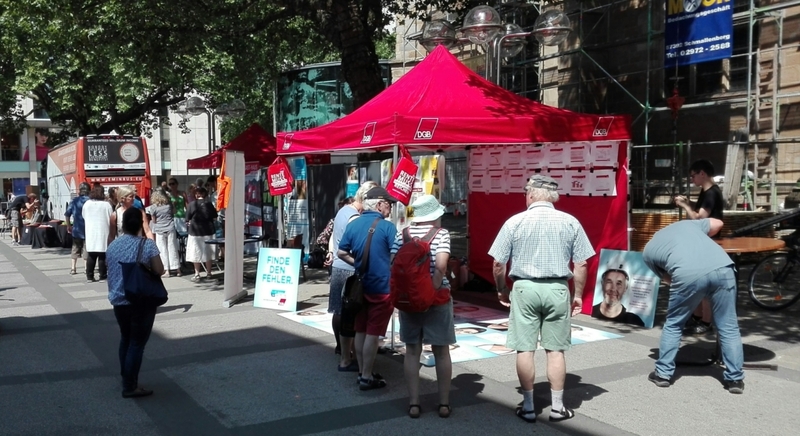 Great arrangements by the colleagues from the DGB Trade Union and a great presence of civil society organisations. At mid-day alarm clocks rang out calling time for delivery on the fight against poverty and for adequate Minimum Income Schemes. 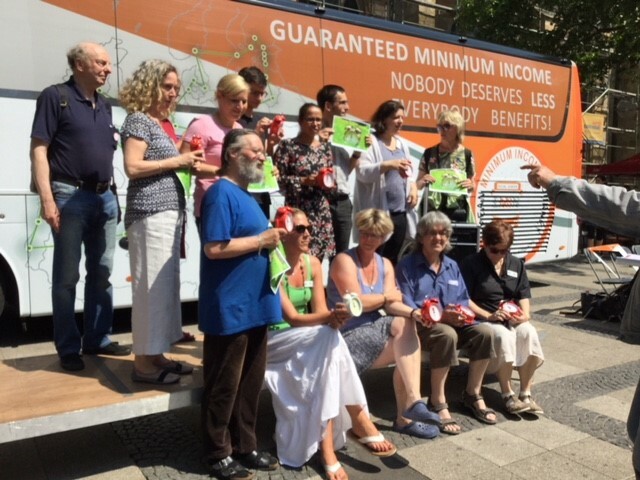 #MatthiasW.Birkwald, Member of the German Parliament and Vice President of their Employment and Social Afairs Committee spent a good part of the day at the bus. 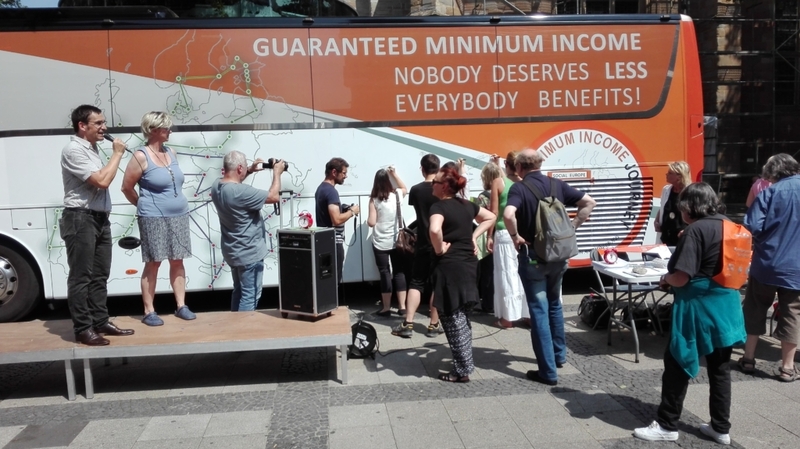 He stressed the importance of the #eminbus being a journey for a better Europe and highlighted the extent of the challenge that exists to achieve improvement in the Minimum Income Schemes in Germany.